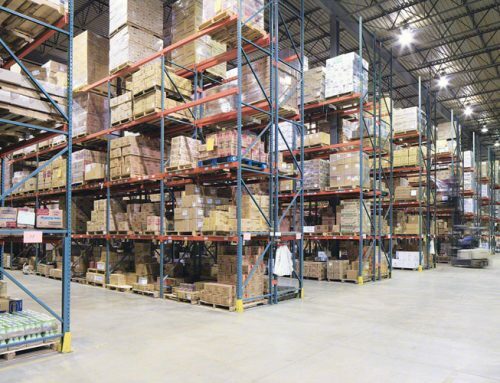 Is your warehouse tight on space, high volume, and contains a lot of different product types? 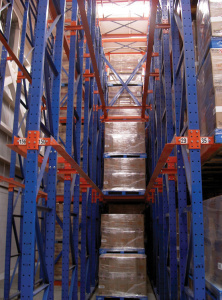 Push Back Pallet Racking is definitely a good option if that is the case. 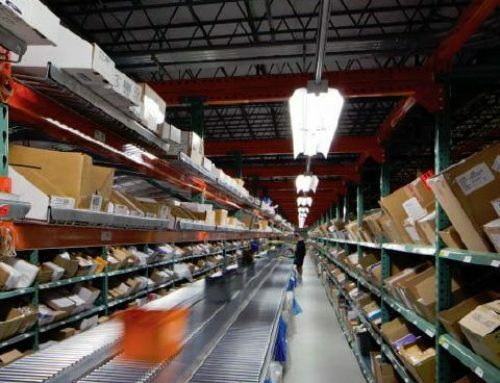 This system is a little more dynamic than other high-density systems because while other systems must have the same exact product in an entire bay, Push Back has the ability to place different products in lanes within the same bay. This allows you more freedom with your product placement and picking. 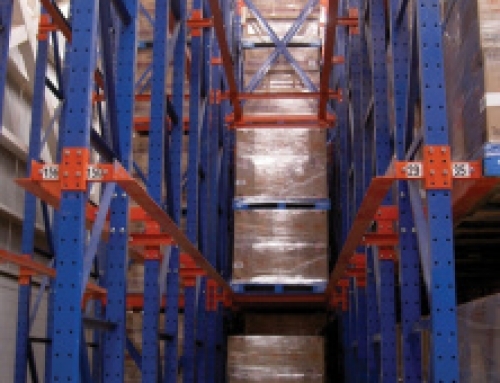 Push Back Pallet Racking is a very high-density storage system. 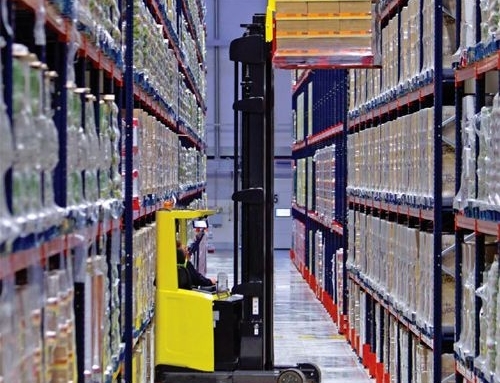 It uses heavy-duty carts to form configurations of up to six pallets deep. It is a LIFO (last in, first out) system. Pallets are loaded front to back onto rolling carts, which get pushed back as additional pallets are added. 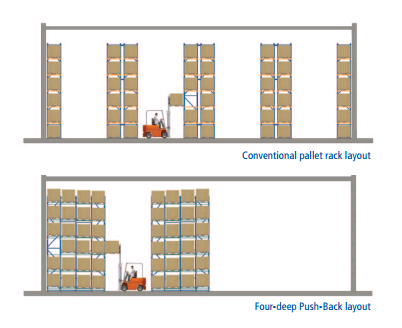 As pallets are removed, gravity moves the remaining ones forward so that the front pallet position is always filled. Multiple product types are ideal for this system, as the forklift can access each flow lane easily. However, the pallets must all be around the same size, unless you have a cart cover. This system consists of carts and rails set within a supporting structure of frames and beams. Pallet stops are at the end of the carts to ensure that the pallet does not move when it shouldn’t. Carts can be up to six pallets deep, and roll along the rails. 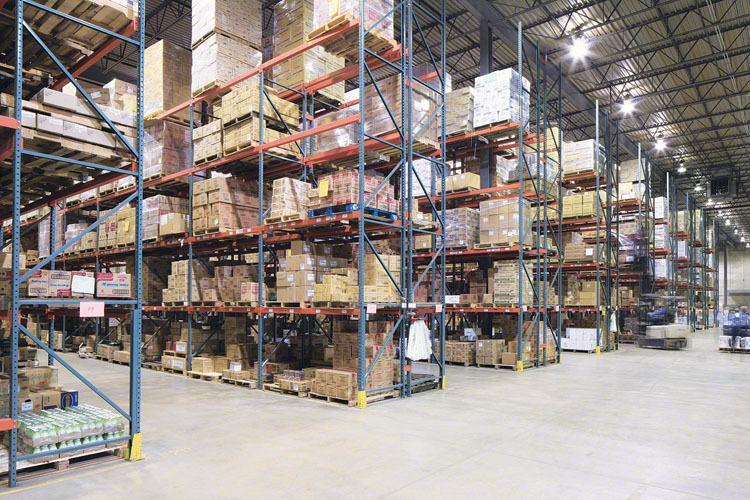 Push Back Rack minimizes the number of aisles needed to access the product. 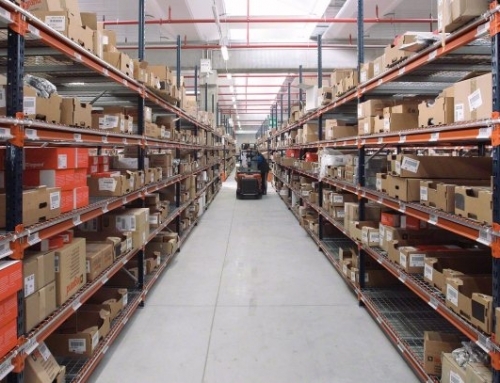 It is also usually used against a wall, which is good when you want to combine a few different rack systems, such as Selective Pallet Rack and Push Back Rack together. As I’ve stated previously, it can support up to six pallets deep, with the ability to store different products in each flow lane and level. With this system, you need to make sure that you have enough space at the top since each level has a slight incline. There needs to be enough room to allow for that incline below the ceiling. 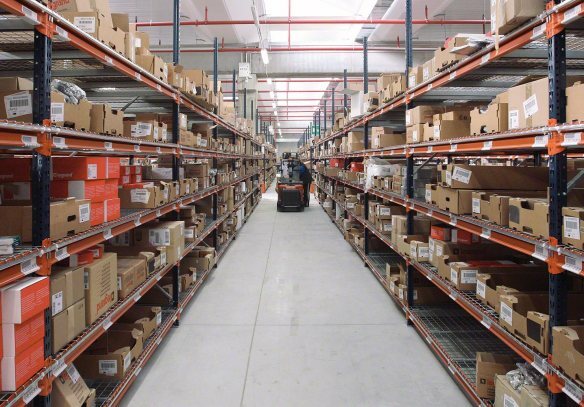 As with all pallet racking and storage systems, you need to know the basics about your warehouse. Are there columns anywhere? How high are the ceilings? Exactly how big is the space? It is also important to know the depths and sizes of the pallets you will be storing. 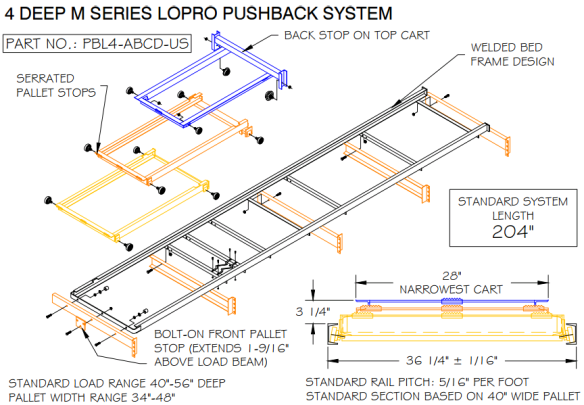 Push Back Rack is ideal for facilities without as much space. 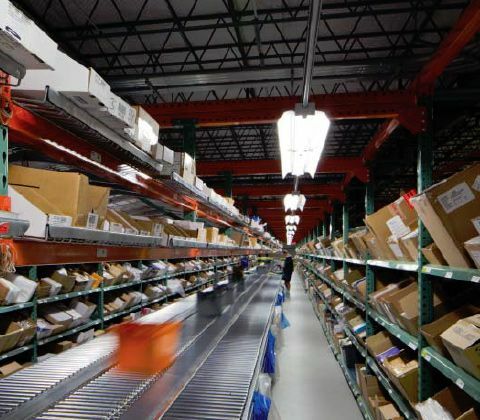 It also has all of the benefits of a high-density storage system without the drawbacks of a drive-in system, namely, the damage and safety risks. 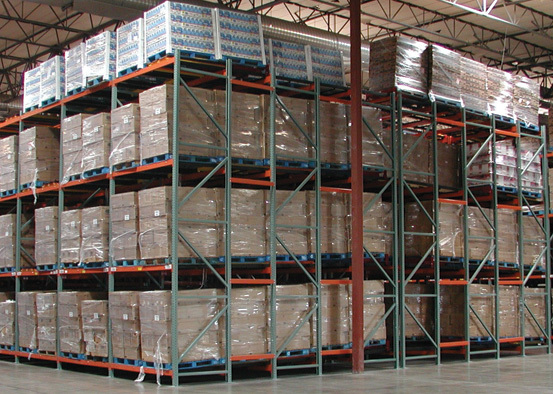 Contact us to learn more about different warehouse storage systems! Next up, Pallet Flow.